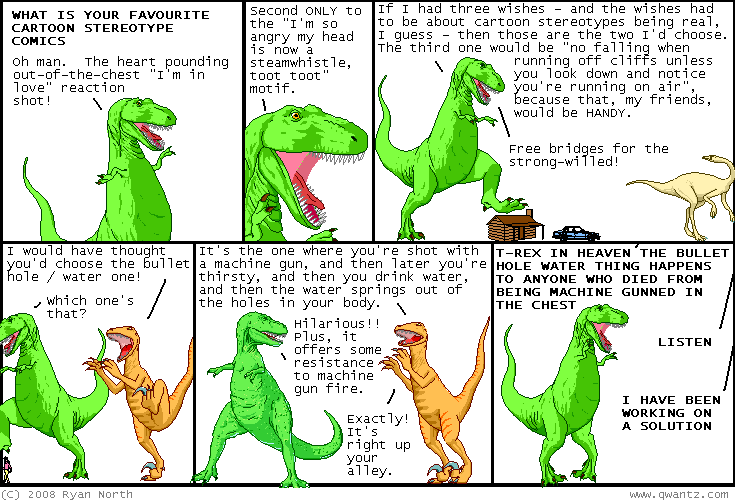 Dinosaur Comics - May 29th, 2008 - awesome fun times! –So we got into a fight! May 29th, 2008: MoCCA is coming up! It's June 7th and 8th at the Puck Building in Manhattan. NEW YORK CITY. I will be there and I hope you will be there too! It's a really good comics show - a great small press vibe and there's always tons of good books and minicomics there. Plus I have it on good authority that tons of awesome people will also be there, including some that aren't even on that list I just linked you to. Oh yes.